The owner of a San Luis Obispo assisted living home who is facing charges related to the death of an elderly man refused an offer made by a judge that would have let him out of jail but force him to turn in his passport. The defendant said he is planning to travel internationally on an anniversary trip with his wife. On July 19, the California Attorney General’s Office filed charges of involuntary manslaughter and elderly and dependent adult abuse against Christopher E. Skiff, 54, and Gary Potts, 63. Investigators allege Skiff, the owner of The Manse on Marsh, and Potts, a former employee, knowingly and willfully endangered Mauricio Edgar Cardenas, 65, and ultimately caused his death. In Dec. 2104, Cardenas was trying to cross Los Osos Valley Road in Los Osos when he was hit and killed by a 2010 Dodge Challenger driven by 26-year-old Ricardo Serafin. The CHP determined Serafin was not able to avoid Cardenas because of the darkness at the location Cardenas was crossing. Prosecutors allege Cardenas was not a suitable resident for The Manse on Marsh, and the assisted living facility admitted him with a dementia diagnosis, though it lacked a waiver to do so. 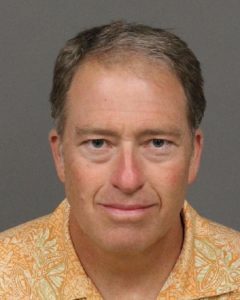 Both Skiff and Potts appeared in San Luis Obispo court on Wednesday, where they pleaded not guilty to the manslaughter and elder abuse charges. Prior to the court hearing, Skiff’s attorney filed a motion requesting that his client’s bail be lowered. On Wednesday, Judge Dodie Harman responded with an offer that would have allowed Skiff to avoid having to post money if he would surrender his passport. Skiff said he would not turn in his passport until after taking his anniversary trip with his wife. The hearing concluded with Skiff’s bail remaining at $250,000. Potts previously managed to have his bail lowered to $75,000. Both Skiff and Potts are due back in court on Aug. 28. This case bugs me. What about he responsibility of the family? Maybe they knew he had these issues and made light of them? Obviously he was able to take his walks, Maybe his condition just deteriorated without much notice? is the Home responsible for medical diagnosis? $250,000 bail? That’s ridiculous. He could have shot the guy to death and got a lesser bail. Or he could have been a police officer or family or friend of a judge or other “special” person and would have never served a day in jail prior to trial, if one would even be held.